Hey there! 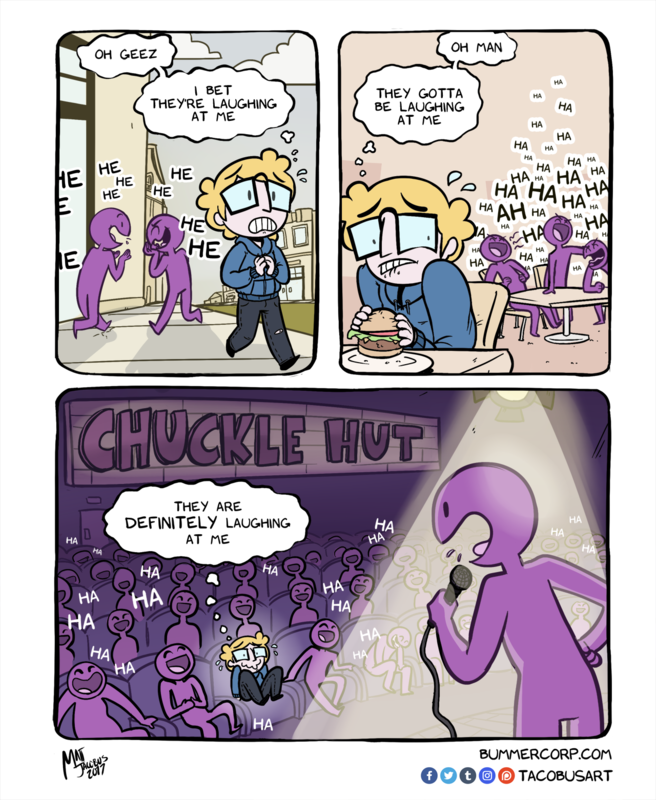 I'm Matt and I make a gag comic called Bummer Corp that focuses on finding humor in depression and anxiety. Kinda like this! Bummer Corp is fun for everyone, but I hope to make a difference in people's lives by sharing my experiences with mental illness in a way that makes it relatable and easy to talk about. 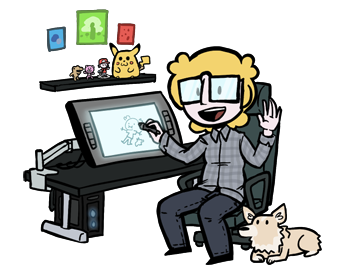 Outside of Bummer Corp, I make auto-bio comics and would love to produce more comic projects that are more story focused and long form! Your pledges not only help Bummer Corp get made, but allow me to spend more time writing and drawing all sorts of internet funnies and stories. All of my projects will remain available to read for free online, your pledge only goes to help me continue to make the content you enjoy. Thank you so much for reading and hanging around, you cool people! Thank you for your support! Your money goes to keeping Bummer Corp going and helps Jet the corgi get treats to keep him happy. For $2 you'll get access to the patron exclusive content feed as well as Bummer Corp comics 24 hours earlier than everyone else! You'll get high resolution downloads of original art made for the Patreon as well as high resolution downloads of all the month's Bummer Corp comics! Print 'em out and put them in your cubicle for maximum effect! If I can make this much I'll add a $20 tier that includes physical prints, stickers, and other fun stuff, mailed to $20 patrons every month!